What had we learned in the semester gone by? No one had a ready answer. Partly because it was hard to think in our condition of course, but also because the nature of lessons learnt at a b-school are quite intrinsic, subtextual and other similar adjectives of an ethereal nature. No, we’d be hard pressed to say that we had gained theoretical knowledge in an array of subjects with any significant degree of permanence. I believe that one studies his subjects in class but only learns them when he applies them somewhere. No, much against our best intentions, we won’t be able to retain all that we learned over the past four months, unless we put it in action. So what did we learn? Well first of all, I’m pretty sure we all learned time management. Coming from Bangalore where it is considered almost rude to not be five minutes later than the appointed time, I realized that at Bajaj 9 AM means 9 AM. Consider the fact that it is a government college, and you can understand how momentous an occasion it is to be able to use government and punctual in the same sentence. For that I admire our college. Now I plan even the timing and duration of my lunch in advance. Secondly, I received proof in Bajaj for something I always believed. That marks aren’t everything. We had many examples during summer placements and corporate competitions, of the moderately scoring well rounded personality besting the studious one-dimensional student. And for that I have genuine appreciation for the course. For once, doing well isn’t just about your memorizing prowess, as almost everything else in our education system has become. Thirdly, we learned to not hesitate before doing things. Maybe this applies more to some of us shy ones than to others, but in the course of carrying out market surveys, skits and whatnot, I’ve totally lost my qualms about approaching a complete stranger. The other day I was talking India-Pakistan relations with the owner of the stationary shop underneath where I live. 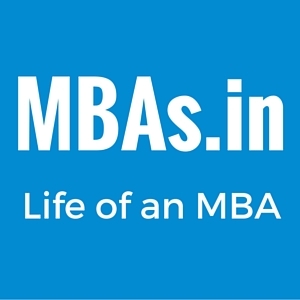 I guess that’s the beauty of an MBA. Its value lies not just in the theoretical knowledge, but the subtle ways in which the experience of the course shapes you into a more capable and professional person. As of now I can think of these lessons, but I am convinced there are more. All it needs is a little bit of pondering. I’m just waiting for this goddamn headache to recede.